"There was very fine, an elegant pain, hardly a pain at all, like the swift and fleeting burn of a drop of hot candle wax...Then the blood welled up and began to distort the pure, stark edges of my delicately wrought wound. "The chaos in my head spun itself into a silk of silence. I had distilled myself to the immediacy of hand, blade, blood, flesh." There are an estimated two to three million "cutters" in America, but experts warn that, as with anorexia, this could be just the tip of the iceberg of those affected by this little-known disorder. Cutting has only just begun to enter public consciousness as a dangerous affliction that tends to take hold of adolescent girls and can last, hidden and untreated, well into adulthood. 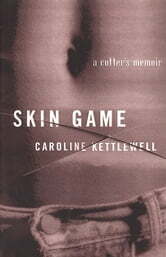 Caroline Kettlewell is an intelligent woman with a promising career and a family. She is also a former cutter, and the first person to tell her own story about living with and overcoming the disorder. She grew up on the campus of a boys' boarding school where her father taught. As she entered adolescence, the combination of a family where frank discussion was avoided and life in what seemed like a fishbowl, where she and her sister were practically the only girls the students ever saw, became unbearable for Caroline. She discovered that the only way to find relief from overpowering feelings of self-consciousness, discomfort, and alienation was to physically hurt herself. She began cutting her arms and legs in the seventh grade, and continued into her twenties. Why would a rational person resort to such extreme measures? How did she recognize and overcome her problem? 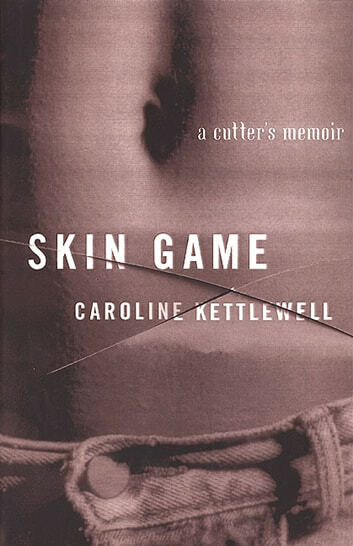 In a memoir startling for its honesty, humor, and poignancy, Caroline Kettlewell offers a clear-eyed account of her own struggle to survive this debilitating affliction.